Power and Enterprise users can from now on set up an upload password for each album and enable their visitors to upload photos directly to their account. 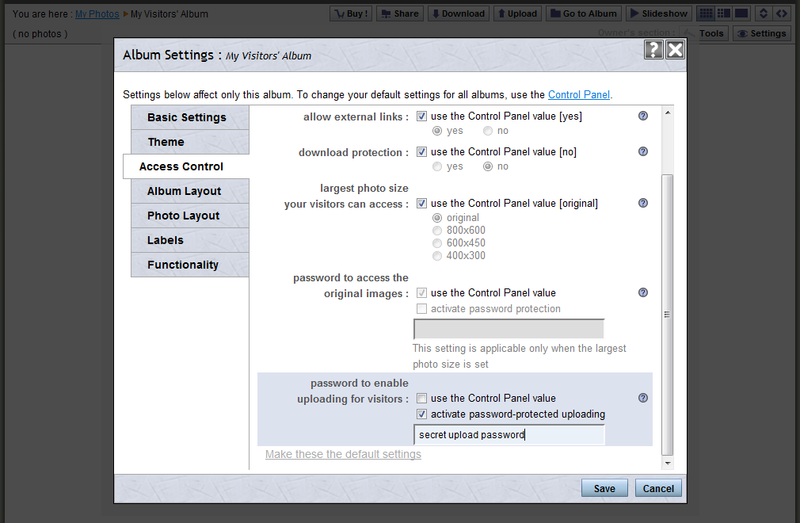 The password can be set for all albums in the Control Panel or for each album in its settings. If neither password is set, only the album owners can upload photos to their albums.